Deron Horton is a young and uprising American artiste – an actor and a musician – and he is fast carving an enviable niche for himself in the world of entertainment. He ultimately wants to become one of the most diverse artist of his generation. As an actor, Horton is most popular for playing Lionel Higgins in Dear White People (2017-present). He is also known for his role as Square in Burning Sands (2017), and as Lou in American Vandals (2018). On the other hand, Deron creates R&B music in his spare time but he is yet to release any of his works for public consumption. The multi-talented entertainer holds a lot of prospects in his budding career, and you’d love to find out more about him. Here is his biography and other interesting facts you probably do not know. Deron Horton was born on November 25, 1992, in Houston, Texas. He, however, spent his later childhood and teenage years in Saudi Arabia after his family left the U.S when he was aged 10 due to his father’s job requirements. Deron Horton is an American by nationality but African-American by ethnicity. After his high school education, Deron Horton left his family in Saudi and returned to the U.S. He enrolled at the Savannah College of Art and Design in Georgia, graduating with a major in Performing Arts. Horton started off his career in acting while still a college student. His debut acting role was in the short film, Consultation (2014). A role in another short film, Lions and Lamb followed the same year. He subsequently played minor roles in other films and series including Dirty Grandpa (2016) and The Lethal Weapon (2016). In 2017, Horton got his breakthrough role as Square in Netflix’s original film, Burning Sands. 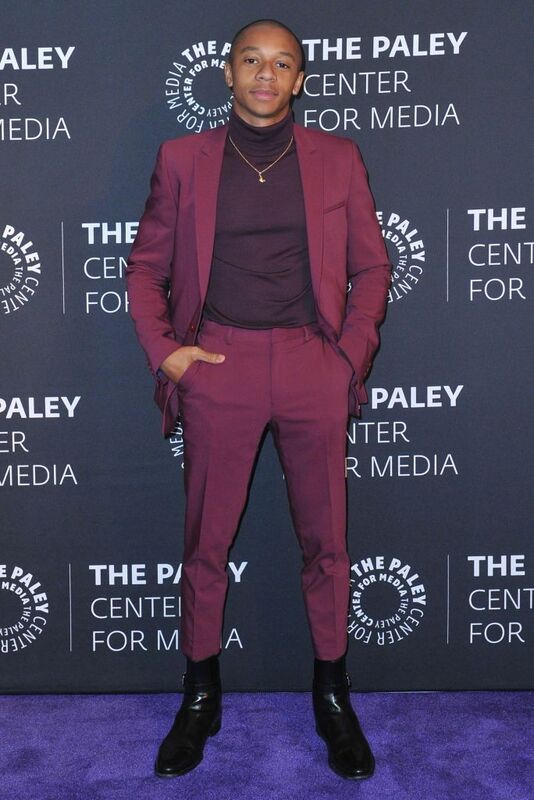 As a result of Burning Sands‘ exposure, he later landed his big break the same year in Netflix’s comedy series, Dear White People where he is portraying the lead character of a black gay teenager, Lionel Higgins. The role which he succeeded in playing well brought Horton to widespread public attention. Following his impressive performance in the ongoing Dear White People, Deron landed a role in Roman J. Israel, Esq. (2017) where he shared the screen with famous actor Denzel Washington. In 2018, he starred as Dez Truss in the independent film, Dirt. He has also earned spots in the cast of two upcoming films, namely: Undying and Shotgun. Speculations became rife that Deron Horton is gay after he began portraying Lionel Higgins, the black gay student in Dear White People. This claim, however, remains unsubstantiated as Horton’s sexual orientation in real life is not available at the moment. The uprising actor appears to be very reserved when it comes to his personal life and relationship matters. Just the same way his family details are unavailable, his love affairs remain a mystery too. Although he apparently has not married, no one knows yet whether he is dating anyone, be it a man or woman. One cannot get any hint on social media either as does not share his private matters there. He only fills his social media pages with updates from his acting career. 1. Growing up in Saudi Arabia is instrumental to who Deron Horton is today. According to the good-looking actor, Saudi exposed him to a multiplicity of culture and ethnicity that gave no room for racial discrimination or prejudice. The experience broadened his mindset and made him a more accommodating person. 2. Horton took over the role of Lionel Higgins in Dear White People from Tyler James Williams who initially played the role in 2014 when the series was originally released as a feature film. 3. The role of Lionel Higgins in Dear White People is relatable to Deron. This is because he has experienced social and ethnic isolation in his high school days when he was the only black student in his school over a long period. 4. Deron describes the opportunity to work with Denzel Washington as a humbling and inspiring one. The actor still finds it difficult to believe he encountered the famous actor live, having looked up to him from a distance as a teenager. 5. In addition to Denzel, Deron looks up to actors like Will Smith, Danny Glover, Eddie Murphy, Martin Lawrence, Jamie Foxx, John Malkovich, and Jim Carrey as role models. On the side of music, he admires Teddy Pendergrass, KEM, PartyNextDoor, Rick James, and Jon B.